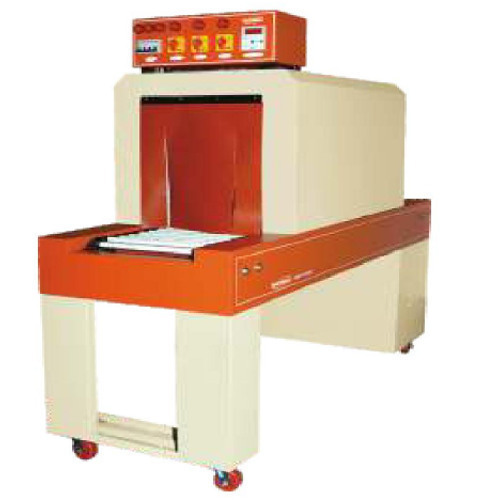 We are well-known manufacturers and suppliers of Heavy Model Shrink Wrapping Machine. These are fabricated using a premium quality material, which is procured from our reliable vendors. To ensure its high quality, durability and reliability, we test our products on various parameters using advanced technology and hi-tech machines in compliance with set industrial standards. Moreover, we can avail of the product of the leading market prices. From 2006, we, Pack Maker Machines Pvt. Ltd., are successfully ranked amongst the top manufacturers of a wide collection of Wrapping Machine, Auger Filler Machine and much more. These are manufactured at our manufacturing unit, using high grade basic inputs and modern technology in compliance with set industry standards. Furthermore, the basic material used in the fabrication process is procured from some of the authentic vendor of the market. Owing to these reliable performance, low maintenance, longer functional life and accurate dimensions features, these machines are highly admired in the globe. Our well-established firm has developed a modern infrastructure unit that is equipped with all the modern machines and technology. In order to maintain smooth and interrupt free production of our machines, we have segmented our infrastructure into various departments such as manufacturing, quality control, R & D and warehousing & packaging. With the support of our manufacturing department, we are able to deliver these products as per the global standards of quality. We have installed the new technology-based machinery and modern technology, which provide us to meet the requirements of our customers. They work in close coordination with the customers to manufacture these machines within the stipulated time limit.